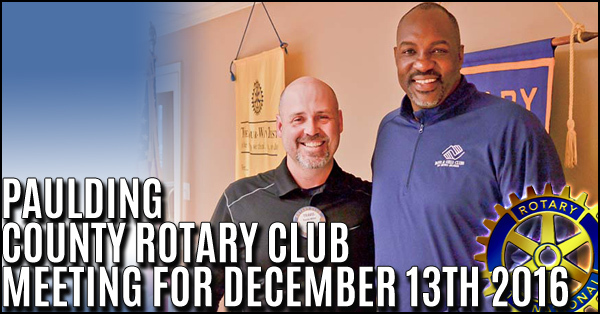 Travis Miller Rotary president welcomed Kevie Dixon from the Paulding County Boys and Girls Club. 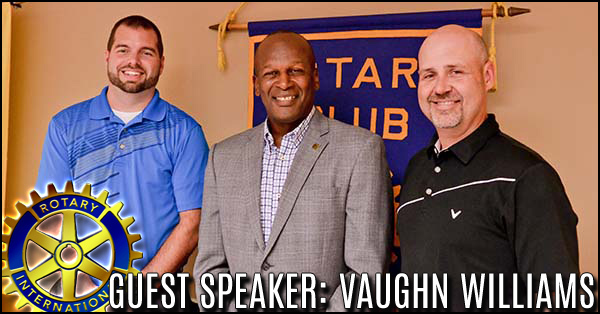 Kevie Dixon is the executive director for the Paulding County Boys and Girls Club. 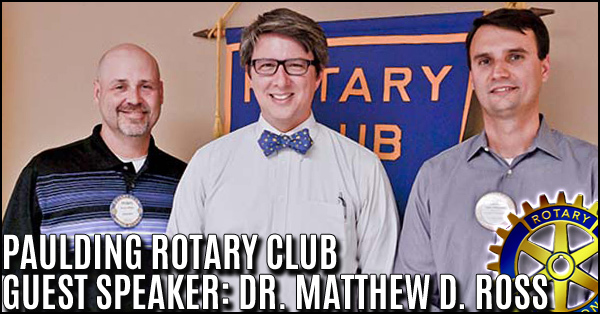 Club member Justin Fuller introduced the guest speaker, Dr. Matt Ross the Principal of Midway Covenant Christian School. Dr. Ross spoke about the classical principles of education, Christian classical education and the practiced goals of Midway Covenant Christian School. 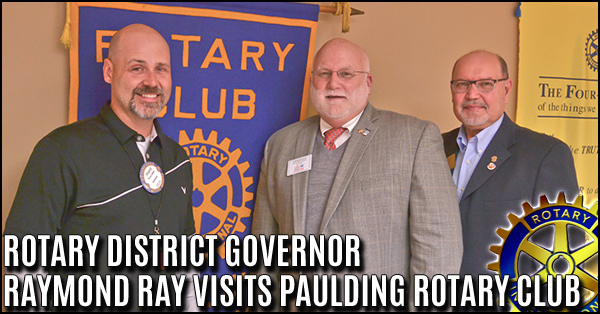 The Paulding County Rotary club was visited this past Tuesday, November 30th, by Raymond Ray district 6900 governor. 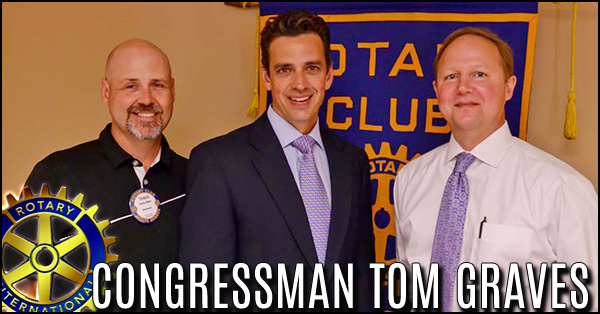 Mr. Ray acknowledged the clubs 47 years of service along with the accomplishments that the Paulding County Rotary club has achieved. 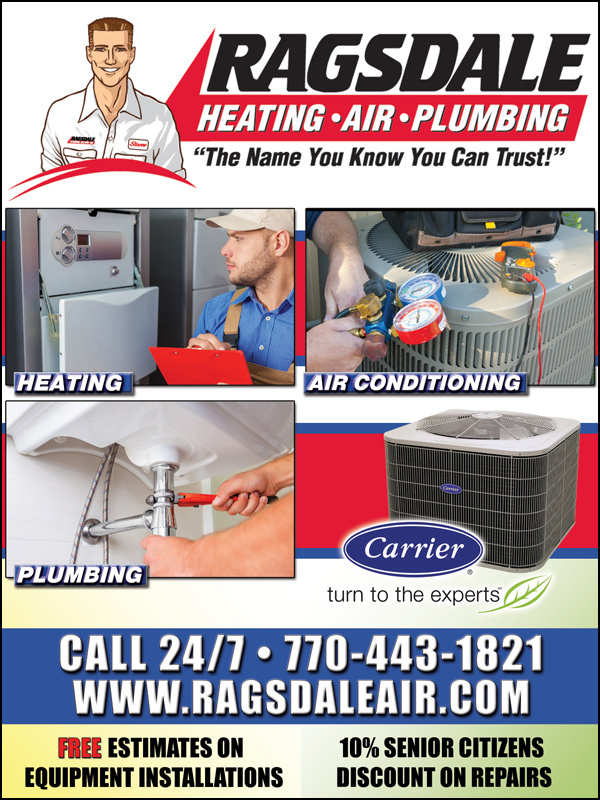 Guest speaker, Paulding County School Superintendent Cliff Cole. 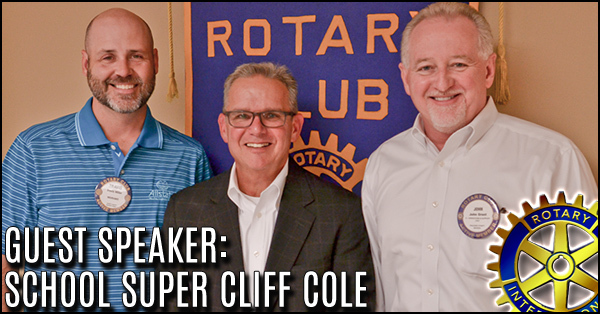 Mr. Cole thank the Rotary club for a warm welcome as he introduced himself. Mr. Cole gave a state of the school's address with regards to the Paulding County school system. 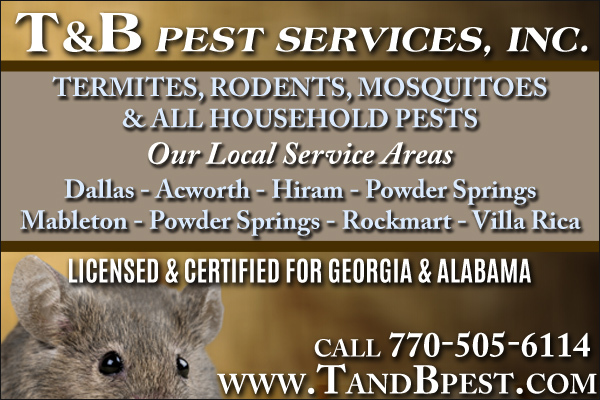 He gave an extremely thorough overview of Paulding County schools. 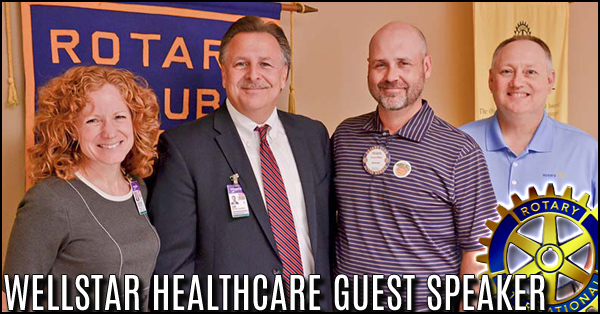 Guest speaker, Chief financial officer for the WellStar Health System, Mr. Jim Budzinski. Addressing healthcare in general and gave the primary contributing factors for the rising cost. Three particular factors are putting pressure on the healthcare industry; cost, an aging population and regulation. 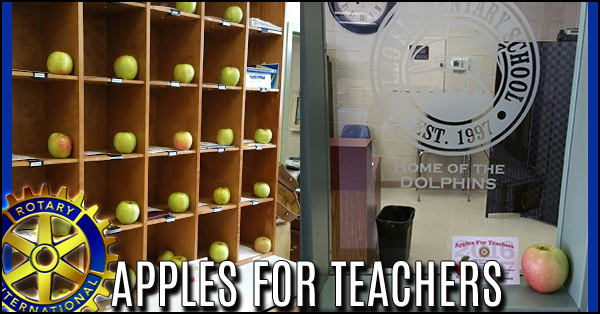 Every year the Paulding County Rotary Club delivers apples to all schools in Paulding County. 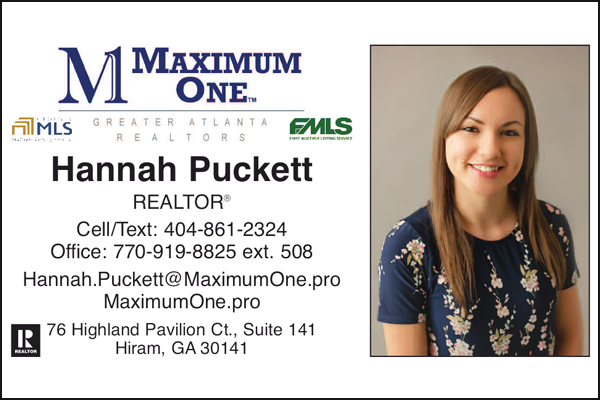 From the Paulding County Rotary club to all the teachers in Paulding County we express our heartfelt thank you for all your service. 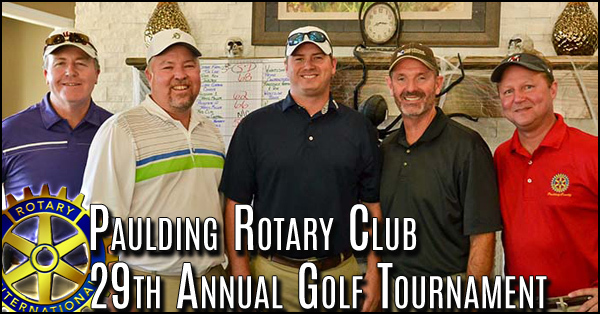 The annual golf tournament provides the Club the ability to invest in our local community. 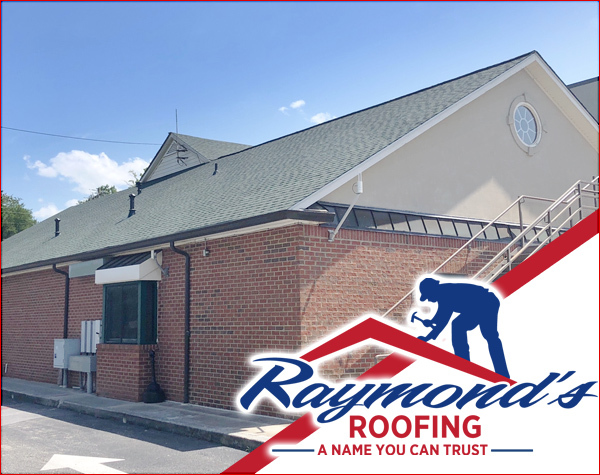 Thanks to our many sponsors and supporters, over the past 47 years the Club has been able to contribute approximately one million dollars to our community. 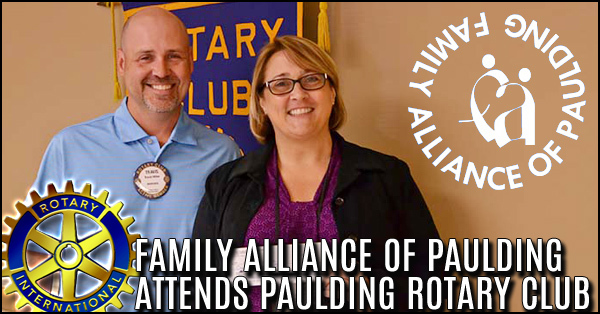 Family Alliance of Paulding, Inc. works in cooperation with the court system in providing supervised visitation for families where addiction, domestic violence, mental health issues, and other behaviors put their children in danger. The alliance also provides resources such as education and training with regards to drug and alcohol abuse. Kennesaw State enrollment swelled to nearly 35,000 students. Growth of enrollment is up 4%. 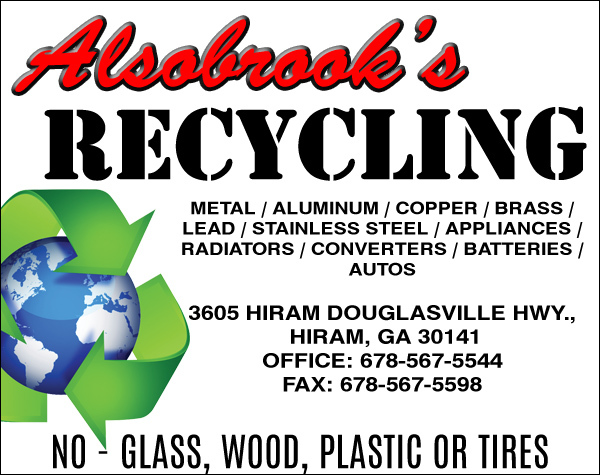 This is a large increase for the local community. A surge in pursuing education speaks well not only of the University but the community as well. 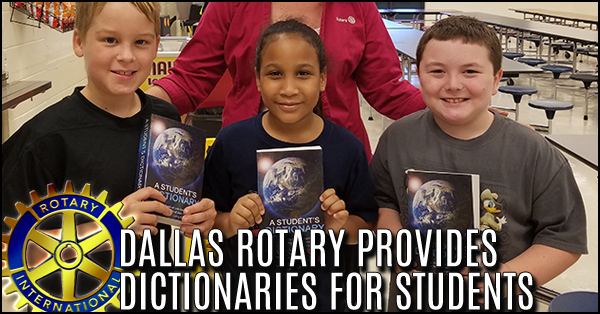 Thank you to the Rotary Club of Dallas for donating dictionaries to every third grader at New Georgia Elementary! The students are always very excited to receive these dictionaries each year. Pictured above with some students is Teresa Janiga from the Dallas Rotary. 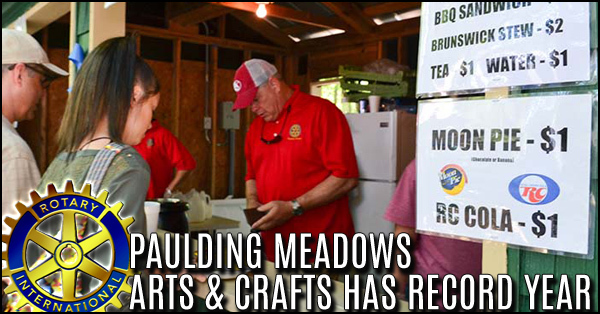 As sponsors, the Paulding County Rotary club enjoyed serving over 68,000 people who decided to come Paulding Meadows this previous weekend. 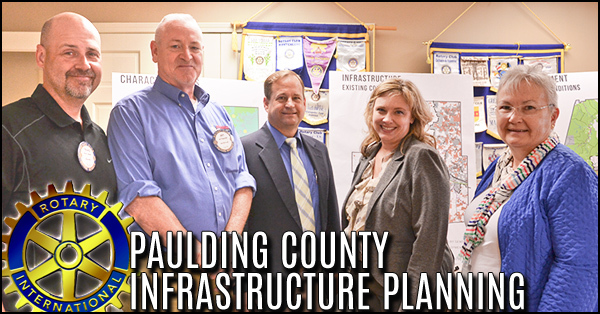 Mr. Scott Greene and his fellow speakers Ms. Ashmore and Ms. Lippmann and outlined the presentation for a more thorough explanation of the infrastructure planning going on in Paulding County. 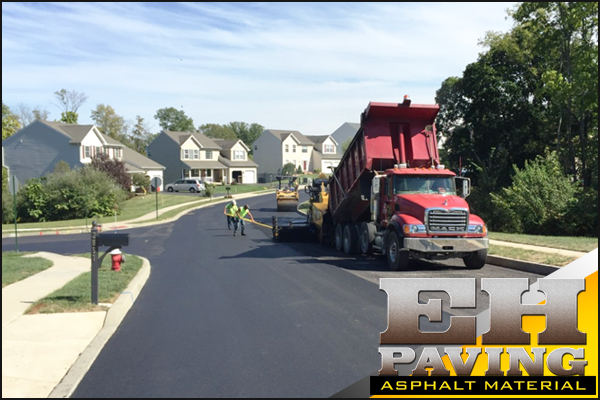 A comprehensive plan that outline how the county intends to grow and distribute infrastructure and resources to support that growth. Vic Williams receives his plaque signifying him as a Will Watts Fellow. 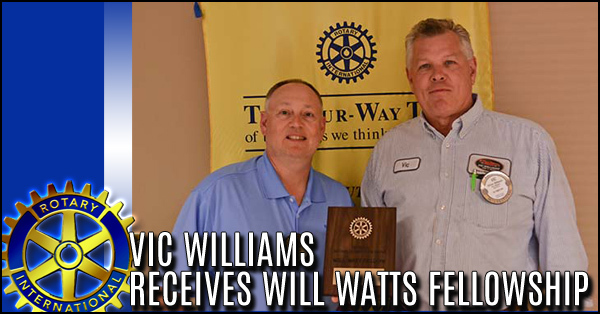 Ryan Hale presented Mr. Williams with this award as he gave a brief history of Will Watts and his vision and founding Georgia Rotary Student Program.